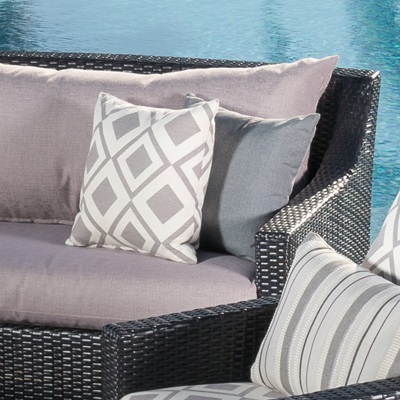 Making the most out of your patio starts with a set of outdoor furniture that combines indoor comfort and sophistication with outdoor durability, in a style that makes an elegant statement. 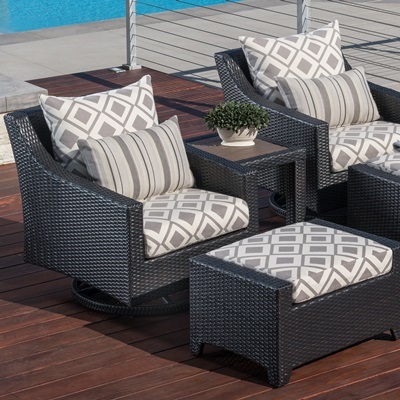 Our Deco 6-Piece Love and Motion Club Seating Set is built with all-weather durability and designed with timeless styling to keep your patio looking, and feeling, great for years. 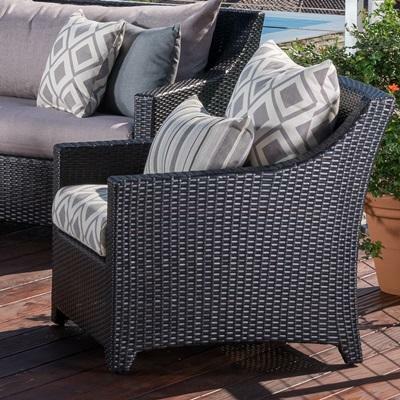 Constructed with extra plush deep seating and a sturdy powder-coated aluminum frame, this set might be the last patio furniture you ever need.